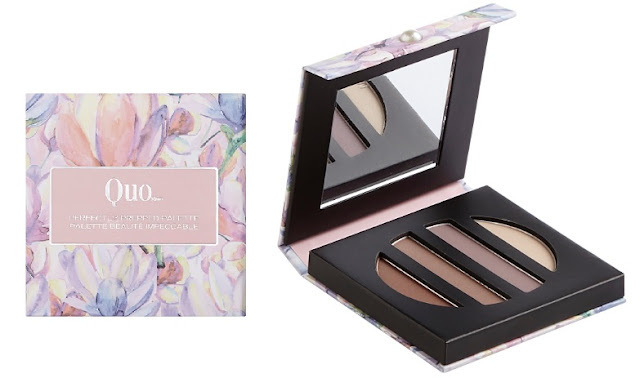 Quo introduces their 2016 Mother's Day Collection with watercolour floral packaging so pretty, it will make the perfect gift for mom, no gift wrap needed! Quo Perfectly Prepped Palette - $20 - contains 4 eyeshadow shades in neutral brown shades perfect for creating natural daytime looks. Quo Beauty Box - $25 - includes 20 eyeshadows, 3 blushes, 3 lip glosses, 3 lip colours and 2 applicators in an easily portable palette. Quo Lip Gloss Set - $20 - with 5 glosses to choose from including light, dark and shimmer shades. Quo Deluxe Portfolio - $50 - includes everything you or mom could ever possibly need for a day or night look: 45 eye shadow colours, 6 face powders, 9 eye liners and 18 lip colours. Available now for a limited time exclusively at Shoppers Drug Mart.